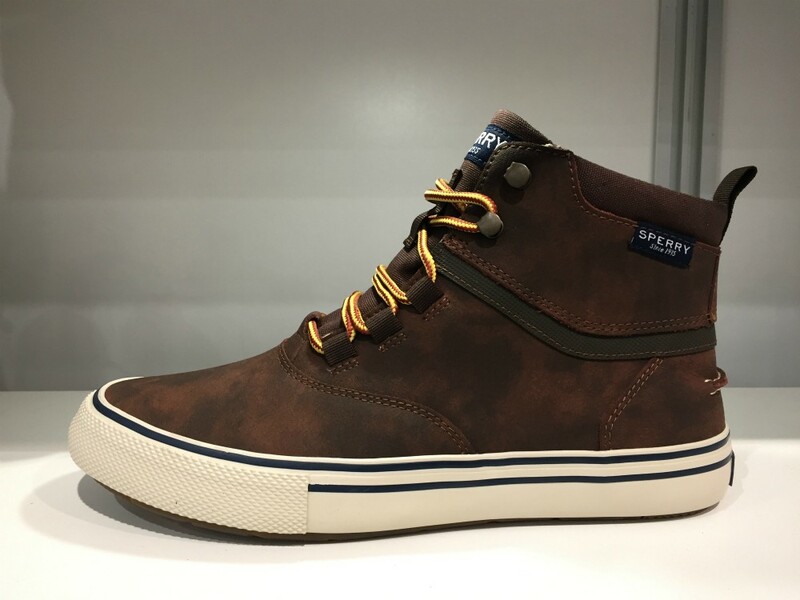 Sperry’s update to the classic chukka is “rugged enough to be worn anywhere,” said the brand’s senior sales executive Luke Jay, characterizing the style as a workwear option for men in colder climates. 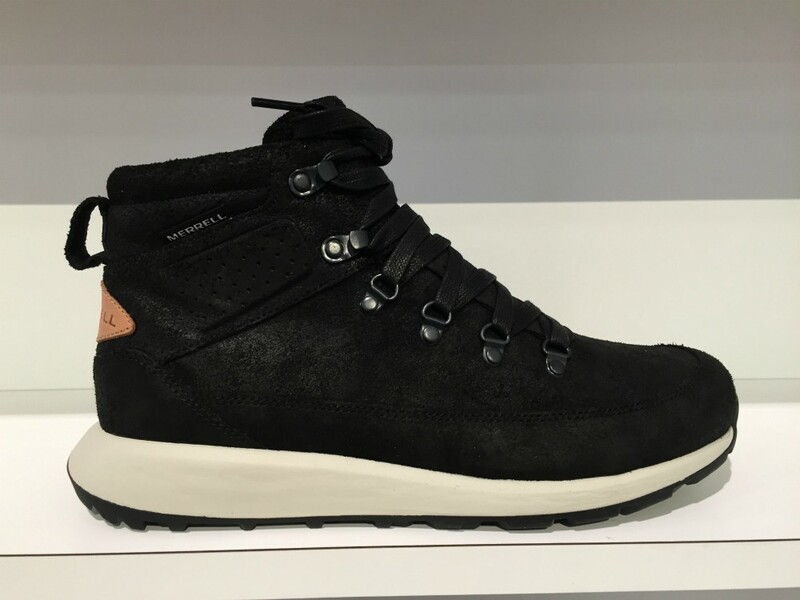 Sperry’s rain-and-snow-proof duck boot has also been updated with 200 grams of Thinsulate lining, he said, for added warmth. Sales exec Luke Jay sees the brand’s fall collection being a hit with city-dwellers living in colder climates. Known primarily for its preppy boat shoes, Sperry is gunning to compete with outdoor brands this fall. 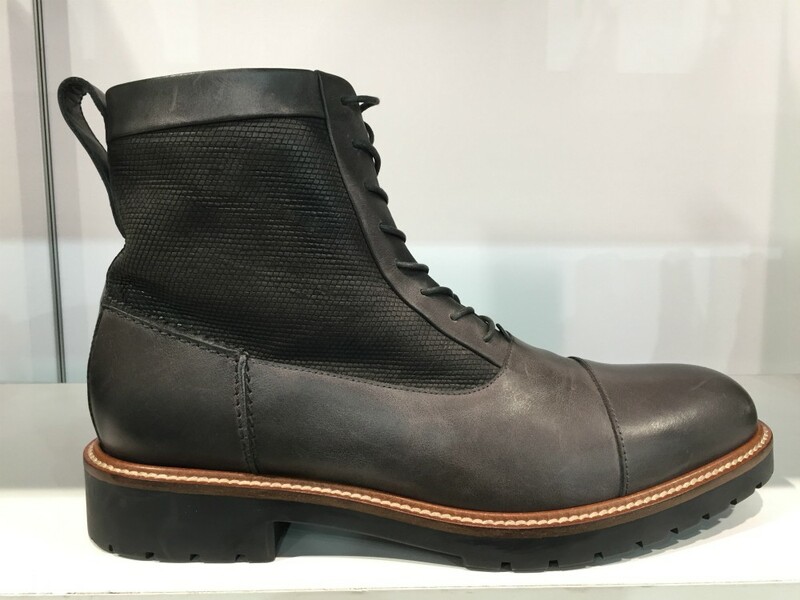 The collection will feature a few fully-gusseted boots and lace-up sneakers, some built with a proprietary outsole blend of rubber and ceramic chunks for added grip. 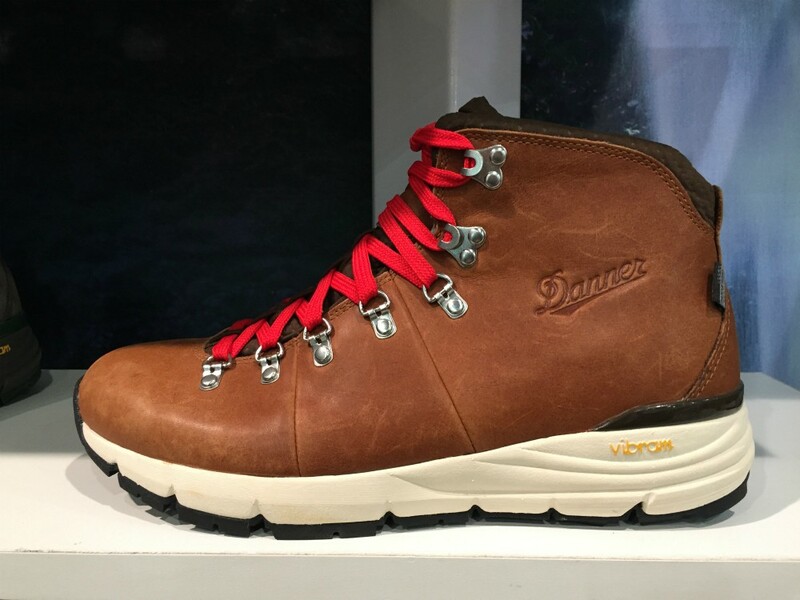 Brands with a heritage in hiking and those with pure lifestyle roots are all innovating on weatherproofing. “It’s about staying warm and looking sharp,” said Luke Jay, senior sales executive for Sperry. 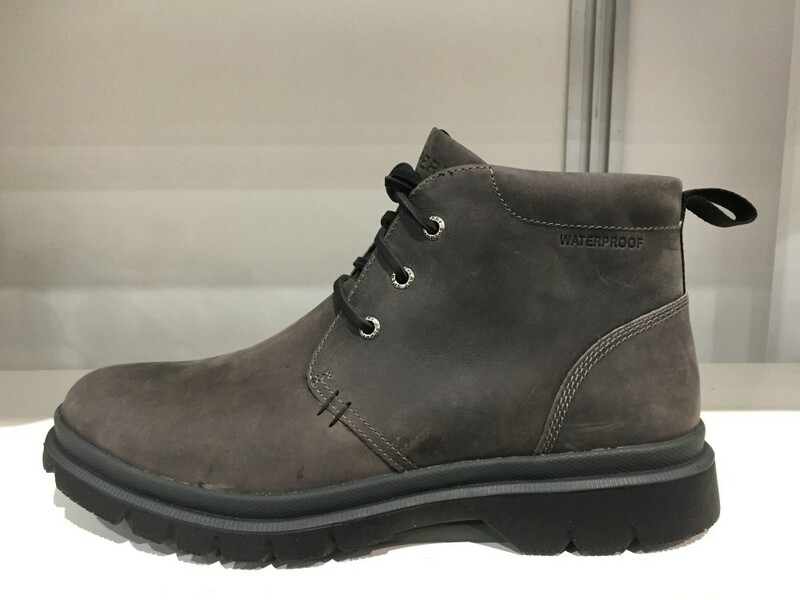 Nowadays, Merrell’s heritage all-leather hiker sells mostly to the consumer who likes the way it looks with a pair of dark wash jeans. 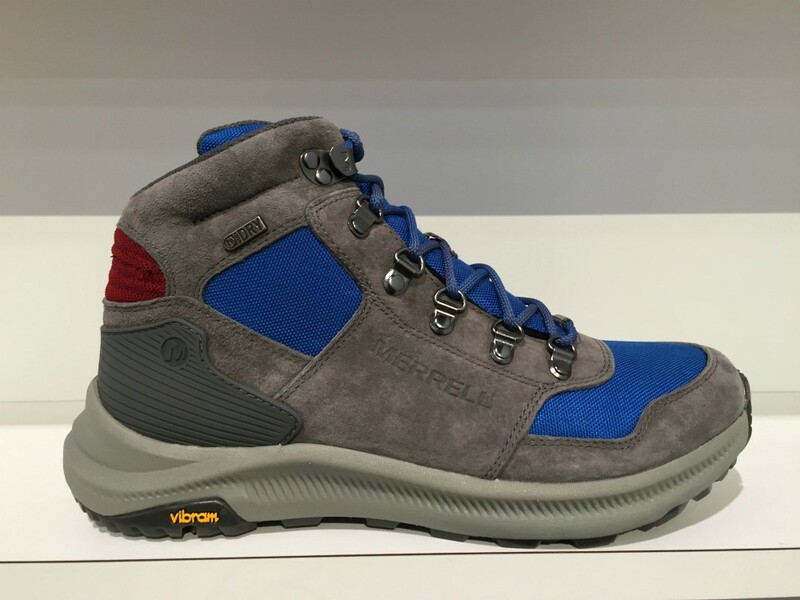 Material advancements have allowed Merrell to craft lightweight updates to styles like the Ontario 85, which, as its name suggests, was born from a brand favorite of the 1980s. 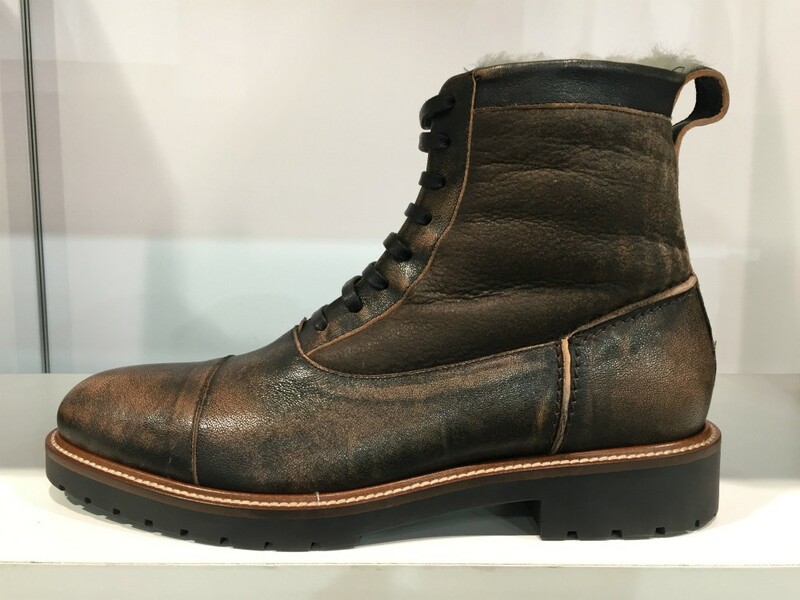 Also appealing to the metropolitan set, Ross & Snow’s line of luxury shearling and leather boots “incorporates technical features into fashion footwear,” said Teresa Carvalho, a sales representative. 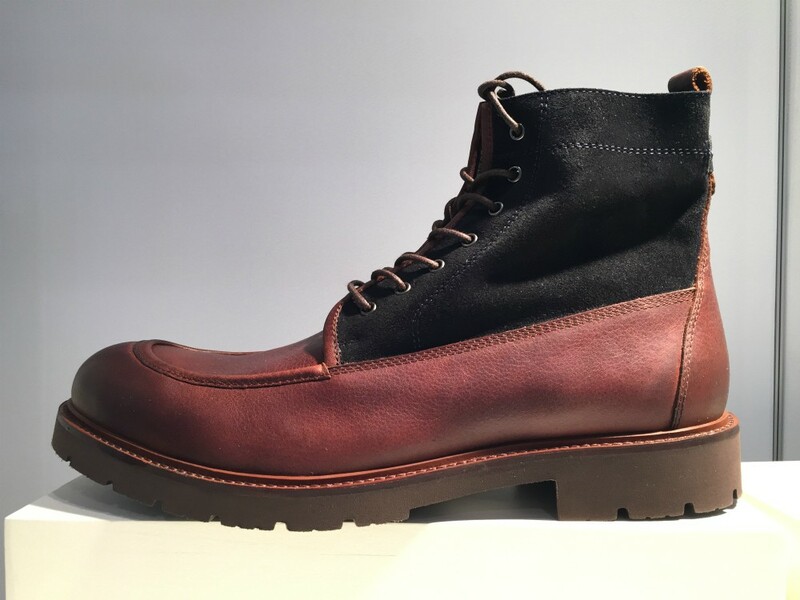 “We’re not a trend brand,” she clarified, adding that the label focuses on updating classic boot silhouettes with luxury materials and weather-proofing. 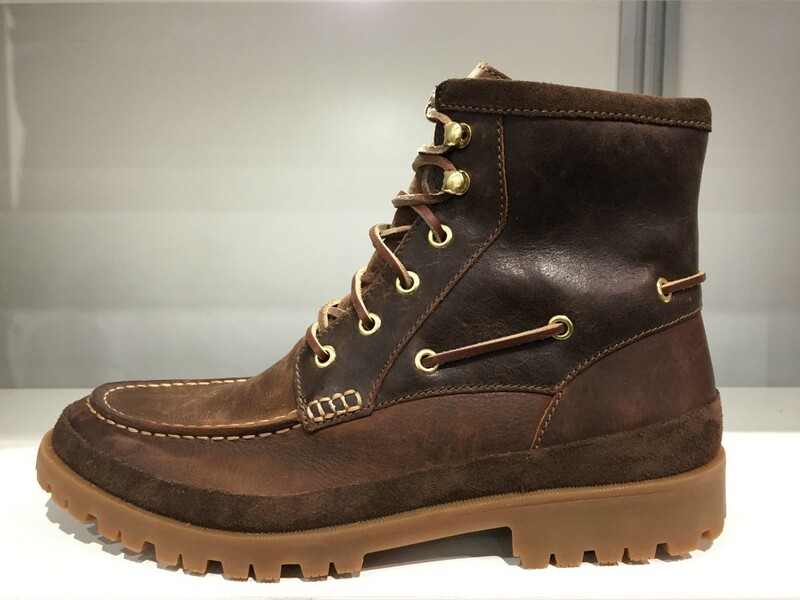 Seam-sealing on zippers, buckles and welting give also gives the Ross & Snow men’s boot collection true outdoor street cred. 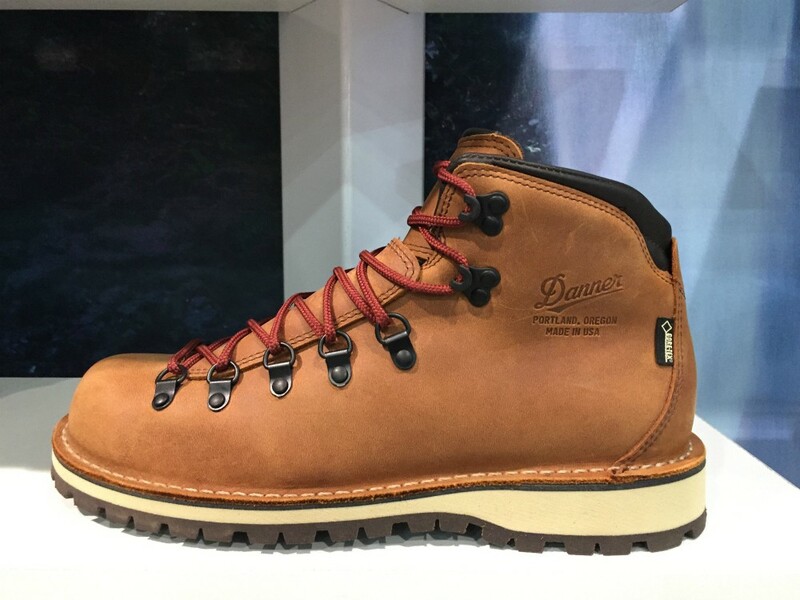 When it comes to boots, guys are looking for styles that “look great in the city and perform well on the trail,” said Kort Sonnentag, senior account manager for Danner at FN Platform last week. The Oregon-based company is just one brand working to uphold its rugged reputation while appealing to a broader audience. In short, male consumers want “more value built into the products they buy,” Danner’s Kurt Sonnentag said. 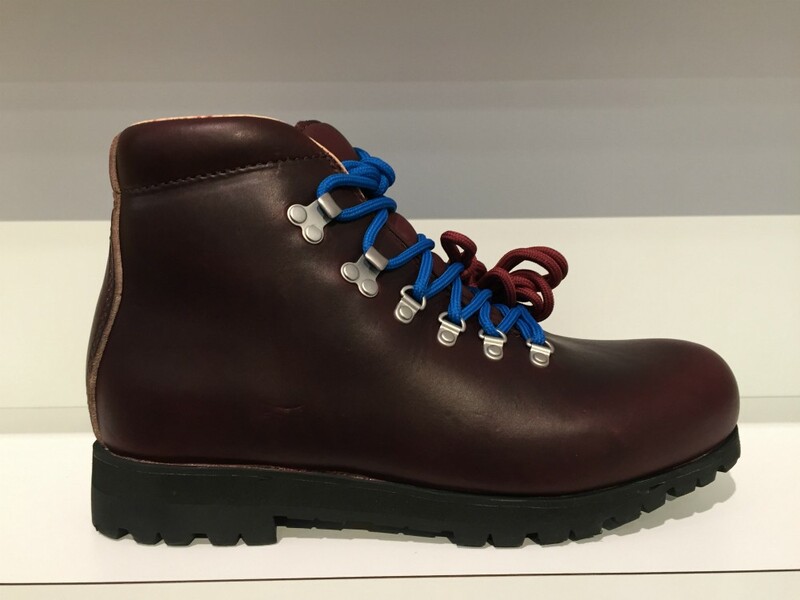 Even boots designed for hiking can be polished enough to wear “to the office and on the weekend,” he added. 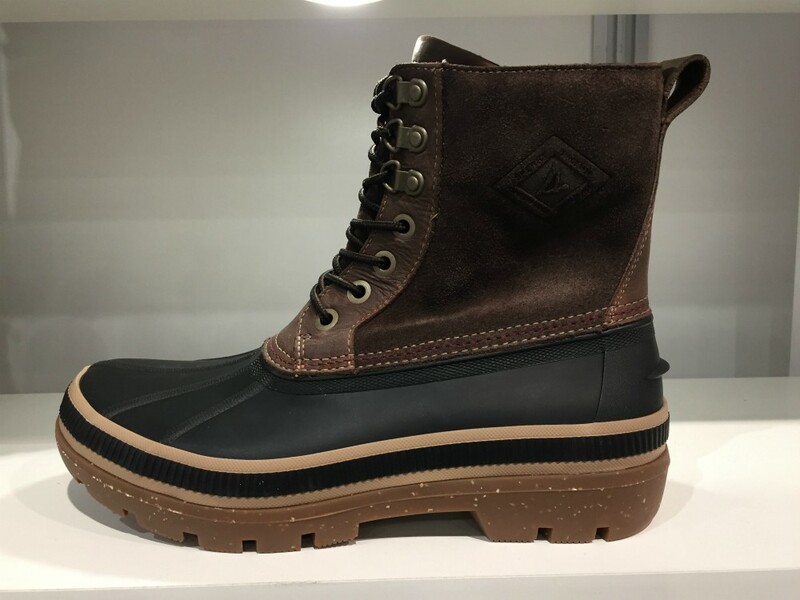 Crossover styles, which blend outdoor performance elements with trendy details, have become a must-have for men’s boot brands. “It’s about versatility,” said Mike Griffiths, VP of sales at Johnston & Murphy. 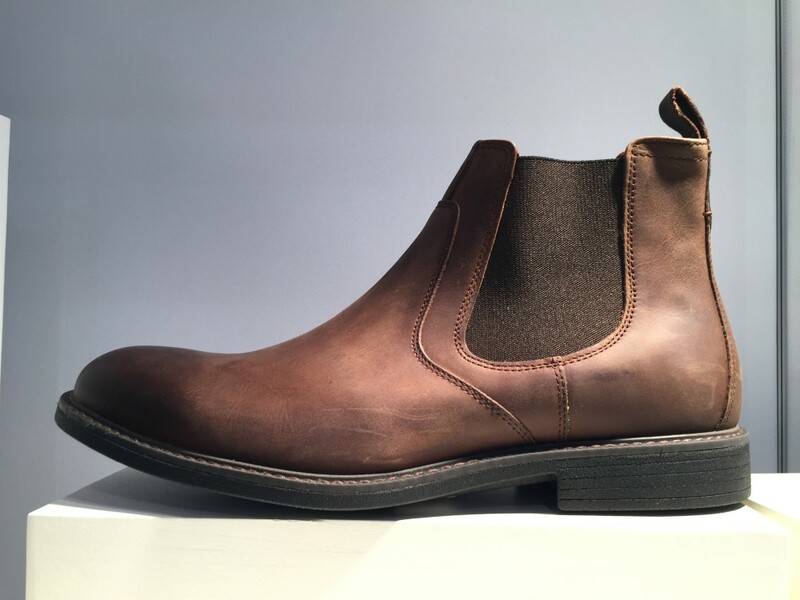 “The reason guys are buying more of these [crossover] styles is because you can wear them in more than one instance—dressed up and dressed down,” said Mike Griffiths, VP of sales at Johnston & Murphy.